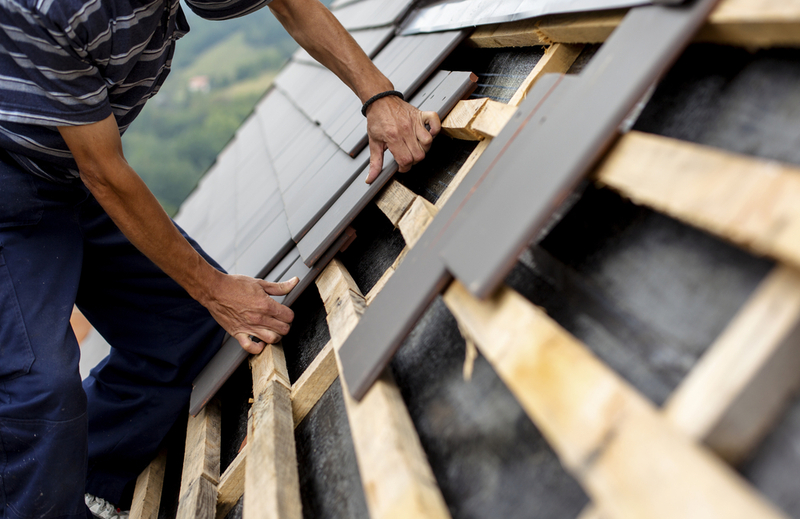 Home » Blog » Energy Savings » What is the Best Material for Your New Roof? Replacing an old roof is a big investment. A roof is not as glamorous as new granite countertops or choosing the right shade of hardwood, so it can fly under the radar until it demands your attention. It’s easy to feel out of your depth when it comes to choosing the right material for your replacement roof. Putting in a little time to do some research about the different types and benefits of roofing materials that are available can prove to be extremely beneficial when it comes to selecting the best product for your home. Before you make your selection, here are some factors to take note of that can help guide you in your selection process. It’s no surprise how costly it can be to replace a roof. So when it comes to your budget, it’s one of the most important aspects for your selection. Of course, just because you may want a product that’s affordable, doesn’t mean the quality should suffer. Some favourable examples of affordable and durable options you can consider include asphalt shingles. Alternatively, if you do have a more flexible budget, some more high-quality and favourable options you could consider are metal shingles and tiles. Curb appeal is important to keep in mind, especially if you plan to sell in the near to distant future. When selecting a style and colour, you should try to choose something that will compliment your home features and enhance that curb appeal as well. Depending on your location, you should factor in the type of climate that your roofing must endure. Living in Ottawa with high winds and long, harsh winters, you need to ensure that your replacement material can hold strong against those elements. For example, metal roofing can be great for locations like Ottawa that must endure long winters and an abundance of snow since it can melt more easily. On the other hand, if you live in an area that experiences frequent heat waves, then metal would not be a favourable choice as it can trap in heat more easily. Terracotta, slate, or clay would be more suitable for warmer areas. An increasing number of homeowners are striving to become more eco-friendly by incorporating more sustainable products into their home. Green roofs are one great way to do that. This means that your new roof can protect your home while providing a surface for plants and grass to grow. This in turn, provides you with a beautiful new roof, while helping to clean your air. Metal roofing is also a great eco-friendly option and promotes environmental sustainability while offering superior energy savings. When it comes time to face the music and replace your roof, spend some time to research your options. Create your budget and consider all the factors about your location and climate that will help guide you in selecting the best material for your roof. December 26, 2016in Energy Savings, New Roof, Professional Roofing, Roof Installation, Uncategorisedby adminComments Off on What is the Best Material for Your New Roof?